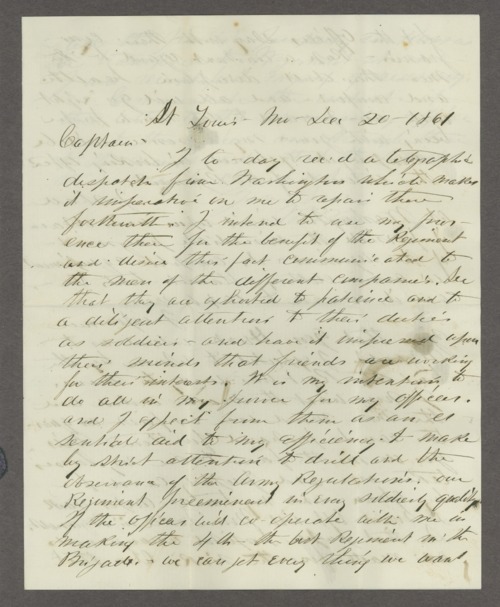 Papers from the James Madison Harvey collection. James was elected as the fifth governor of the State of Kansas in 1868 and served two terms as a Republican from 1869 until 1873, served in the Kansas Legislature from 1865-1869 and the United States Senate from 1874-1877, surveyed in several western states, and commanded the 4th and 10th Kansas Infantry regiments during the Civil War. He died at his farm in Riley County on April 15, 1894. A complete transcription is available by clicking "Text Version" below.